The small ship cruise expert, AdventureSmithExplorations, boasts a knowledge base second to none when it comes to discovering the real Alaska, both by land and by sea. In summer of 2017, cruise guests accounted for 57 percent of the state’s nearly 2 million visitors. Fewer than 10 percent sailed on the kinds of small ships that Smith’s company offers in Alaska and around the globe, proving that small ships are a way to get off the beaten path. 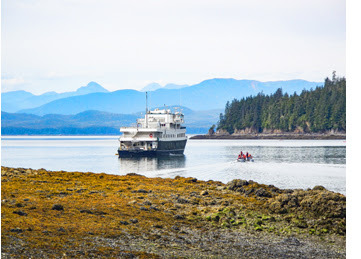 Exploring Alaska’s Coastal Wilderness is an eight-day cruise through Southeast Alaska on National Geographic Venture or on sister ship National GeographicQuest. For families with two adults traveling with children under age 21, the rate is 50 percent for the first child and free for the second child. Complimentary round-trip airfare is offered between Seattle and Alaska on select departures. Alaska’s Glacier Country is a new eight-day itinerary for 2019 with especially good space aboard the SS Legacy. On select departures look for a $600 per couple air credit; grandparents traveling with grandchildren can save $500. 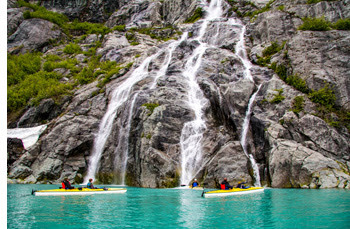 Northern Passages & Glacier Bay over eight days explores backcountry wilderness between Juneau and Sitka on any of three Wilderness ships (between 60 to 76 guests, depending on the vessel). Last Frontier Adventure is a new itinerary for 2019 aboard the 58-guest Admiralty Dream or 49-passenger Baranof Dream. The eight-day journey begins in Sitka and ends in Juneau. 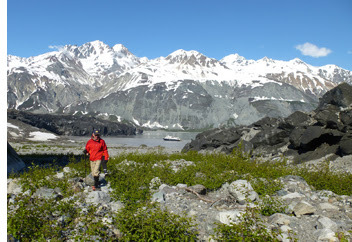 - Explore by Small Ship --Alaska is a place you must experience by sea. Some of the state’s most iconic features (glaciers, whales, and fjords) are best accessed by ship; many towns are only accessible by ship. Visitors can short change their Alaska experience by choosing a ship and/or itinerary that in the end don’t suit their interests. For instance, big ships sometimes cruise some 700 nautical miles in one day; small ships take a week on such a stretch. Not to mention the disparate travel experiences: “Most travelers do not go to Alaska for midnight buffets and crowded port towns filled with tchotchkes; they go to be immersed in the environment,” underscores Smith. - Know How Small You Want to Go -- Small ships (12 to 100 passengers) vary greatly in size and feel, ranging from owner-captained yachts to larger expedition vessels with onboard hot tubs and cabins with balconies. Fitting ships to clients is AdventureSmith’s mission, with every Adventure Specialist spending time exploring Alaska via small ship to learn the differences of each vessel before passing on those insights to passengers. - Think Outside the Boat -- It’s a given on a small ship that guests spend a lot of time off the boat exploring the wonders of land and sea: daily hikes, Zodiac rides, guided kayak tours, stand-up paddle boarding and snorkeling (with a thick wetsuit provided). 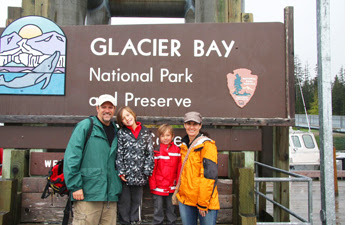 - Relax, You Will See Wildlife -- Travelers bring wildlife bucket lists with them to Alaska. “Let go of your expectations and be prepared to be taken aback by what you see on both land and water,” suggests Smith. Anchoring in dark coves and staying at a wilderness lodge deep in the mountains offer up-close interaction with both the landscape and wildlife. 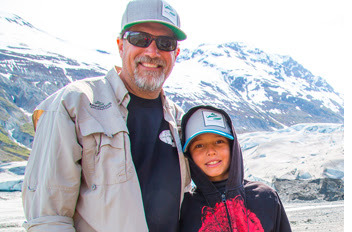 - Don’t Keep the Great Land to Yourself -- Alaska is a place to make lifetime memories that become even better when shared with friends and family. Travelers can greatly benefit from reduced rates generated by a group. Some ships offer savings for a certain number of travelers booking together. “Groups can save significantly by chartering the ship to design your own experience. Learn more about Alaska for Kids and Alaska Charters to bring the whole gang!” Smith says. For details on all of AdventureSmith Explorations’ small ship cruises, itineraries, availability and for 2019 and 2020 reservations, please call 866-575-2875 toll-free or visit the company website.